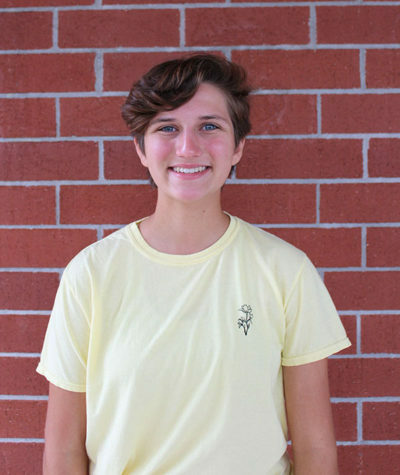 Joelle Wittig is a junior and the News Editor on the Brantley Banner staff. This is her second year on staff and first year with an editorial position. She has always enjoyed writing for fun and in English classes, and was thrilled to join a publication where she could continue to grow and do what she loves. Joelle is hoping to work in the journalism field in the future. Alongside taking part in newspaper, she is on the yearbook staff, Quill and Scroll Honor Society, plays basketball and lacrosse, and is a Thespian with the drama department. Joelle hopes to use this opportunity on staff to grow as a writer and help new staff members learn and build their skills. Through her experience on staff last year, Joelle was able to learn adobe programs such as InDesign and PhotoShop, which she hopes to continue to improve on throughout the course of this year.